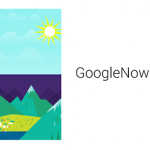 If you press and hold your home screen button (for most android devices) or otherwise open up Google Now, you will see a scenery right at the top of the screen which is basically synced with the time of day at whatever location you are at. To be honest, I am not a big fan of those sceneries because they look childish but of course everybody is entitled to their opinion. If you ever wondered if those images were available as wallpapers and ended scouting Google Images for hours with no results whatsoever, fear not because someone out there was awesome enough to come up with an application to set those images as full-scaled wallpapers. If you are one of those guys who regularly go the gym and focus intensively on building your body up then this application is a perfect companion for you. 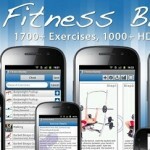 The application is available for free on the Google Play Store which offers more than 300 exercises. The paid app costs around £1.26 and the main difference is that the paid application offers around 1700 exercises. 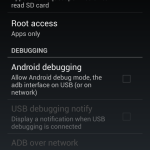 The application is compatible with android devices running OS 2.2 and up. Fitness Buddy has been featured by ESPN, selected by Gizmodo as one of the best applications ever, highly acclaimed with Lifehacker and praised by many others. We have previously covered anti-theft applications, but this one has loads of unique features to offer. It basically is a remote and an anti-theft device all in one. Unfortunately, these applications have become a necessity because, well, good phones do attract a lot of thieves. Anyway, read more about the application after the break. This particular application is all about automating your entire android experience. The objective is to make your life a bit easier. 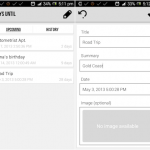 All you need to do is download the application and set desired behaviors on events that might occur on your Android device. The application is available for free on the Google Play Store. 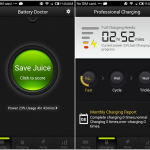 The application is supported by android devices running OS 2.2 and up. There is a paid version of the application available at the play store that costs around £1.00. If you ever thought that you would want your phone to do some stuff on its own then this is the application for you. Are you aware of the annoying feeling when you are really hungry, and you don’t feel like cooking and you don’t even have credit in your phone to order some food? 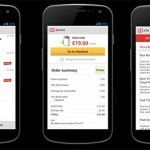 Chances are that if you are living on your own and are not a big fan of cooking for yourself, you will come face to face with this annoying feeling more than usual which is what brought us to the amazing mobile application brought to us by JustEat. If you are one of those users who basically use their devices as a personal organizer, indulging heavily in Google Tasks and Calendar then you might want to give this application a shot. 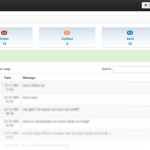 It is called Day by Day and it has been developed by a member over at the prestigious XDA Forums. Addictive games have become somewhat of niche with games like Temple Run and Angry Birds hitting the stream. Who can forget the ultimate time-passers such as Doodle Jump and Fruit Slice and Fruit Ninja etc.? These games tend to be incredibly simple and they really do have no objective (in essence of it). They are so easy to play that you would think they are meant for children yet adults of all ages would immerse themselves completely and forget about the rest of the world. 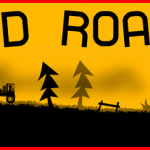 If you are familiar with the concept, then you should definitely take a look at Bad Roads, a game designed by an XDA member. There are many occasions in ones life where you just can’t wait for the days to pass by and you watch every day go by, crossing it off one after the other in anticipation of some ‘big’ day. This big day might be a major event in the family like a wedding or family vacation, or maybe a birthday or winter vacations or something like that. The problem with staring at the calendar counting the days left is that that particular activity would make the time pass even slower. You know how they say ‘a watched phone never rings’. It’s pretty much the same concept.